House Oversight Committee Chairman Jason Chaffetz is on the defensive today, after comments he made regarding GOP healthcare plans and their implications for low-income Americans. "Americans have choices, and they've got to make a choice. So rather than getting that new iPhone that they just love and want to go spend hundreds of dollars on that, maybe they should invest in their own health care," Chaffetz said on Monday on CNN. Chaffetz has since reneged slightly on his choice of words, stating, "Maybe I didn't say it as smoothly as I possibly could," but argued that the core point he was trying to get across was about self-reliance. In a follow-up interview he did with Fox news, Chaffetz attempted to clarify his position by arguing that, "As an American, you have got to make choices so sometimes, you have got to make some decisions in your life and where to make those investments...And as an adult you get to make those decisions and live by those consequences." It seems a fair criticism on the surface, considering one of the main lines the GOP has consistently trotted out on their mission to repeal and replace Obamacare is the mandatory nature of the legislation, which they view as an imposition on the freedom of Americans to choose their healthcare. While no one is faulting Chaffetz for his assertion that adults have to make choices, it seems that Americans are deeply split about how they feel about the ACA. While it has obvious flaws, so does the Republican view on healthcare- principally that access to healthcare is not the same thing as actually having healthcare. The problem with Chaffetz's comments aren't so much with his wording (although the idea that the major barrier to acquiring healthcare for low-income Americans boils down to a Faustian bargain between cell phone coverage and their own health IS patently absurd), but with the rehashing of the same tired argument of blaming the poor for their bad hand in life and the overly simplistic thinking this promotes. The poor are much easier to write-off if they are made to look like willing participants in their ongoing poverty. As the Washington Post has pointed out, Chaffetz's use of the iPhone was probably intentional, as it serves to conjure up a convenient image of droves of hedonistic poor people who might do well for themselves, if only they could pry themselves away from their relentless pursuit of pleasure for a few moments and start acting like responsible adults. Nevermind that an iPhone (or any smartphone for that matter) can be a one-time purchase that amounts to just over 10% of the current cost of a single year of health insurance for an individual. Or that smartphones now represent an almost non-negotiable cost for modern communication, as well as access to the Internet. Or that people have, you know, a ton of other expenses to think about. It's a surprising attitude from a representative of a party that just won an election on the grounds that the other side didn't do enough to help the millions of disenfranchised Americans who were suffering from hard economic times. Forget that though, poor people just have it too darn good. Hell, when you think about it, nobody in North America is really poor, because there are even poorer people in other parts of the world, right? 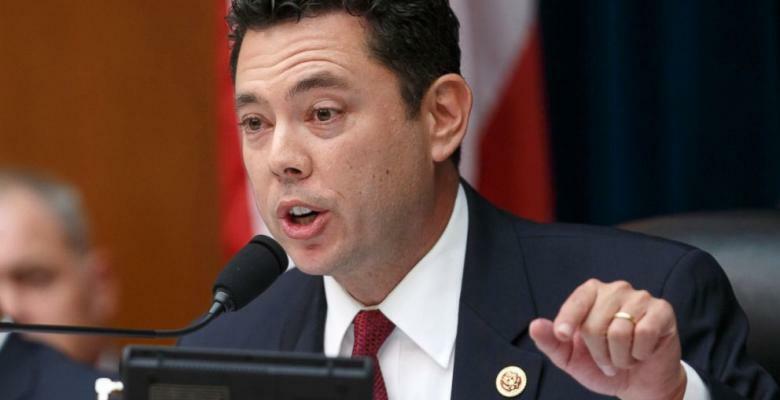 I wonder if Jason Chaffetz considers the constituents of a great number of African nations lousey decision makers as well- after all, many of them have cell phones too.